For the past few decades, Dave Zumeta, Minnesota Forest Resources Council's former executive director, has been birding the Minneapolis River Gorge. Dave has provided FMR with an extensive list of species observations — complete with data about abundance and breeding status — to help us track the avian species using the river gorge habitat. As of spring 2018, the list includes 180 species of birds, of which 56 are confirmed or likely breeding species. His data and anecdotal observations help us evaluate current River Gorge Stewards restoration projects and direct future projects to further improve river gorge bird habitat. Dave has recorded roughly four times the number of indigo buntings (like the one pictured above) nesting at the 36th Street Oak Savanna since restoration began in 1999. We're excited to see both our professional and volunteer-powered restoration efforts making a difference in our local flyway! • See the full list! 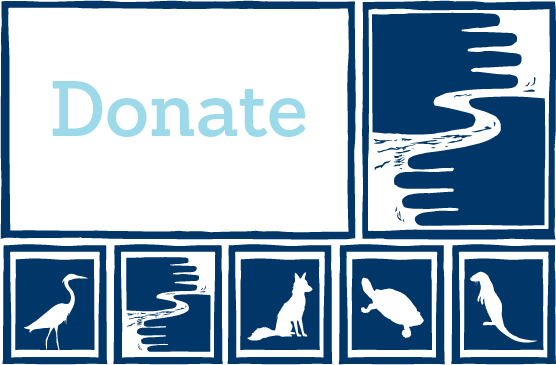 • Sign up to receive 6-8 emails a year about upcoming river gorge volunteer habitat and educational events with FMR Outreach & Volunteer Coordinator Amy Kilgore, akilgore@fmr.org or 651-222-2193 x31.